Mariachi music originated in Mexico, consists of string, brass and wind instruments and is a genre typically dominated by men. But rules are meant to be broken. 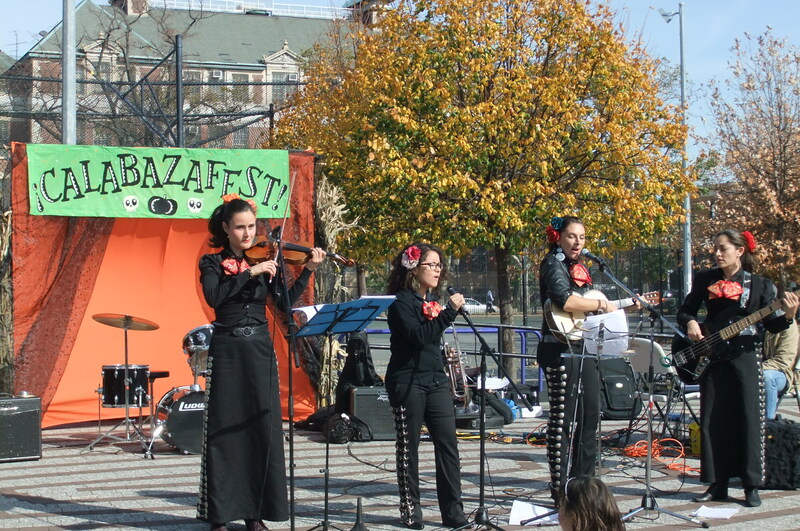 Enter Mariachi Flor de Toloache, New York City’s only all female mariachi group. Named after a flower native to Mexico, the band consists of a rotating number of female musicians from all over the world. I had an opportunity to talk with one of the bands singers, Shae Fiol, about how people react to the band, the vihuela she was playing (a high-pitched, five-string guitar) and how some of the men in the mariachi scene treat her and her band mates. Talking about female mariachis and how rare they are. Explaining the vivuela, a five-string guitar, typical to the mariachi sound. Shae Fiol talking about the challenges of being a woman in a male dominated mariachi scene. 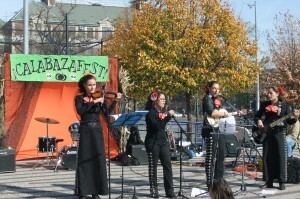 Flor de Toloache playing the song La Tequilera at an outdoor festival this October. This entry was posted in Audio, Uncategorized and tagged mariachi, mexico. music, women. Bookmark the permalink.